Lucky Minerals Inc. (TSX.V: LKY) (OTCPK: LKMNF) (FRA: LKY) ("Lucky" or the "Company") announces the results of an on-going geological mapping survey conducted on its Fortuna Project located approximately 60 km south-east of Town of Cuenca, Ecuador. 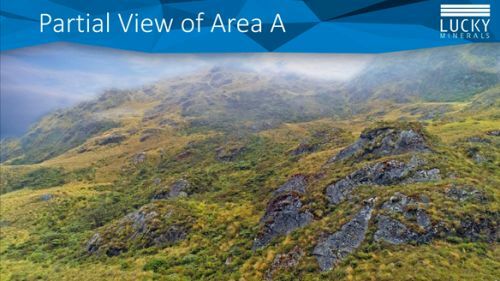 Lucky Minerals Inc. is pleased to announce the results of the follow-up geological reconnaissance mapping survey conducted on its Fortuna Project located approximately 60 km south-east of Town of Cuenca, Ecuador. Lucky Minerals Inc. (TSX.V: LKY) (OTCPK: LKMNF) (FRA: 8LM) ("Lucky" or the "Company") is pleased to announce the results of a geological reconnaissance mapping survey conducted on its Fortuna Project located approximately 60 km south-east of Town of Cuenca, Ecuador.